When discussing the ratings of various TV shows, you’ll sometimes hear the expression “the coveted youth demographic” (Google it!). I don’t know a ton about marketing, but I understand that all TV show ratings are not equal for marketing purposes. Shows like “Matlock” or “Murder She Wrote” were tremendously popular, but never pulled in the huge marketing dollars, because their ratings skewed to an older demographic. The “coveted” demographic is 18-34, or around there. Why do advertisers “covet” this demographic? Is it because advertisers want to be cool kids? No, of course it’s because they want to make money. But people in this demographic do not typically have more money- people in their 40s and 50s typically are at the peak of their earning potential, and further have already set up their households and tend to have a lot more disposable income. But here’s the difference- the youth demographic is impressionable. Their spending habits are not all formed in stone already. A sixty year old man is unlikely to have his spending habits affected much by commercials he sees on TV. So TV which is advertiser-supported is not really for him. It’s for the youth. Now connect this to the way so many churches do business. It is the youth that they are also targeting. So much of the emphasis is put on youth groups, youth programs, Vacation Bible School, music which is appealing to young people, and so forth. When I compare this to the behavior of money-oriented advertisers, I find myself very disturbed. Is the church just chasing after the impressionable dollars and commitment of young people just like the advertisers are? Are they taking for granted the financial support of the older saints, and tailor the church therefore to the young? Young people often crave immediate gratification; the ability to work hard and suffer now for a future payoff is usually associated with a more mature attitude. 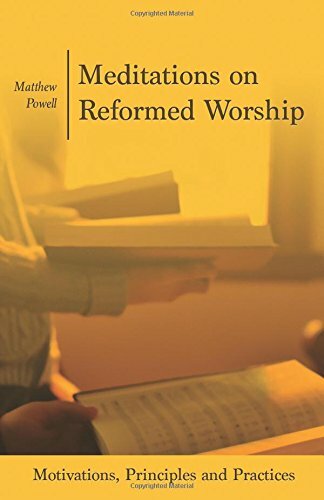 So much of the worship of the modern church is geared precisely toward this desire for immediate gratification- worship services are geared toward emotional experiences rather than rich content; messages are short and focused on immediate ways to have “your best life now” rather than the long-term deep relationship with God and with God’s people that the Scriptures call us to have. The prosperity gospel itself suffers not so much from a desire for good things, but from their inability to defer gratification. God has promised us great riches, pleasure, joy and satisfaction- just not necessarily in this life. The prosperity gospel promises us a raise at work and a mortgage at a good rate. God promises us streets of gold and the wealth of the world. One really fundamental aspect of the Christian life is deferred gratification- laying up for ourselves treasures in heaven and not on earth. Are we undercutting that in our churches? In our desire to capture that “coveted youth demographic” through pandering to their immature desires, are we undercutting the very virtues that make the Christian life work? Are we encouraging young people to mature and grow, to defer gratification, to work hard for the long-term payoff, or are we encouraging them to stay immature children by pandering to them as children? Ecclesiology, what we do as church, how we “do church”, is too often seen as an afterthought, a purely pragmatic question. But the reality is, that the nature of the covenant community and the way it functions lies at the heart of the gospel and will affect every other aspect of our theology. We need to be careful to ensure that the way we approach the business of the church doesn’t undercut, but instead supports, everything else we say about the gospel and the Christian life.